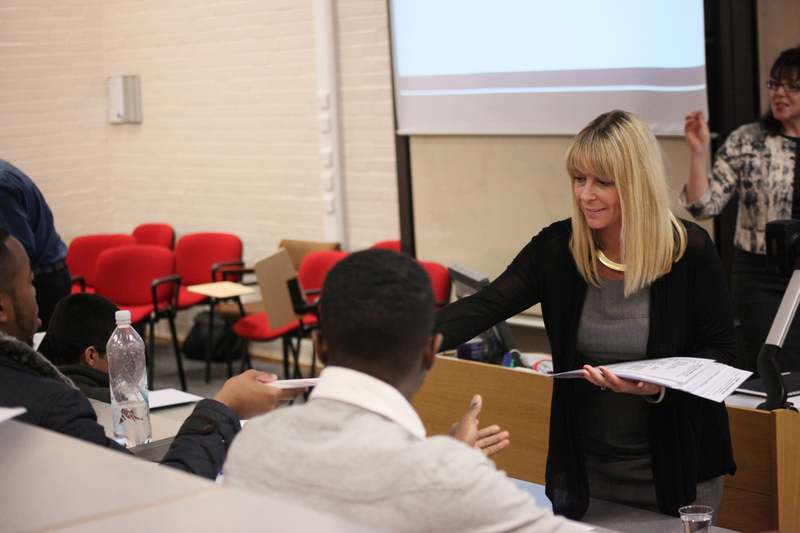 Last Thursday saw our first workshop of the year at the University Of Hertfordshire, and also the first of our new 2-hour ‘Taking Yourself To Market’ sessions. The engagement of delegates of all ages was incredible. This was a 2 hour workshop which covered all of the different areas of job hunting and what you SHOULD be doing, not what you ARE doing! It just really reaffirmed for me that actually so many individuals are willing to do whatever it takes to get the right opportunity, it is just the direction and process so many undergo which makes it so difficult, when actually it isn’t. The biggest change or realisation in so many was how imperative it is to get on the phone during your job hunting, and in role playing this process, there was a real commitment to change. Job hunting needs to have SMART objectives applied to it and in applying and being in control the candidate is empowering themselves to succeed. This is what is important you should have the potential to have a successful partnership with your job-hunting communicators, whether that is a company direct or an agency, or even your networks. The Seminar also identified that many of us are on social media sites, but have no concept of how to utilise them for our job hunting purposes and more importantly what may, or may not be seen about us and the judgments being made. One of the examples we gave on the seminar was a Tweet we came across last week starting “I want a job ‘cause I want a new pair of trainers”. This candidate will never ever get a call for a job with that tweet! So be warned, he/she probably doesn’t even know that we read that Tweet. 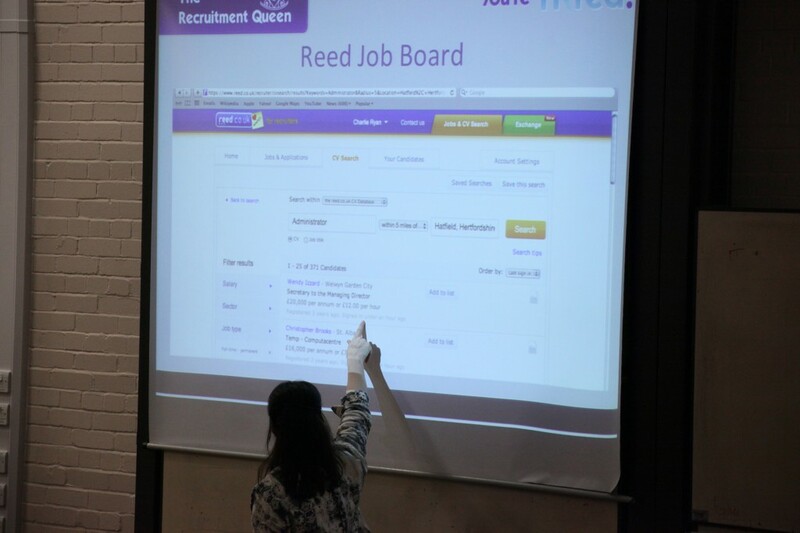 Anyway enough on something so specific, the overall concept of The Recruitment Queen ‘You’re Hired’ workshops is to take yourself to market in a different way. There are so many opportunities out there, but we are ruling ourselves out because of the process we are undertaking. Job hunters need to change their approach to job-hunting if they wish to be successful. With such a large number tackling to the market, you have to be able to differentiate yourself and it’s clear from last Thursday that at least 30 candidates are going to change their approach to job hunting which will make them stand out from the crowd. It was phenomenal to see such a desire for what we are offering and the difference it is making.